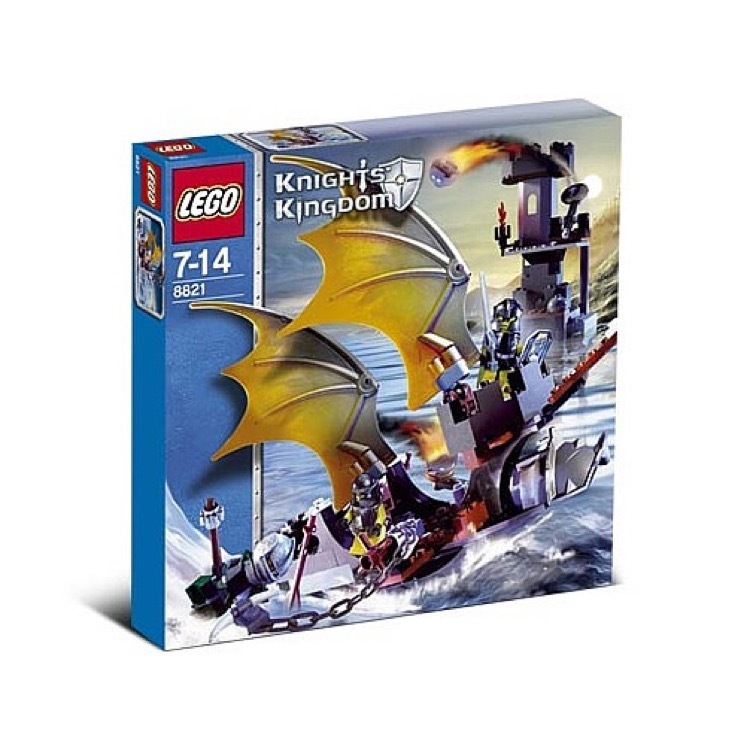 This is a BRAND NEW set of LEGO® Castle Knights' Kingdom II 8778 Border Ambush from 2004. This set is still factory sealed and the box is in very good condition with minor shelf wear. 178 pieces and 2 minifigures©. 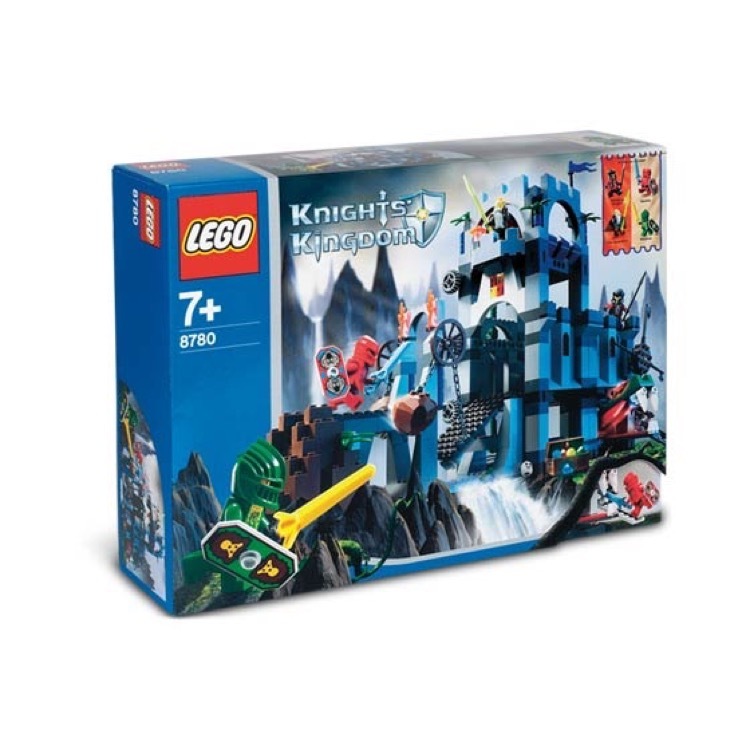 This is a BRAND NEW set of LEGO® Castle Knights' Kingdom II 8780 Citadel of Orlan from 2004. This set is still factory sealed and the box is in very good condition with minor shelf wear. 442 pieces and 4 minifigures©. This is a BRAND NEW set of LEGO® Castle Knights' Kingdom II 8781 The Castle of Morcia from 2004. This set is brand new, however 1 of the factory seals is broken. All the contents inside are brand new and still sealed in their original polybags. We have shrink wrapped this set to provide further protection and maintain the integrity of the box. The box is in rough condition with shelf wear, wrinkles, dents, creases, and scratches. 632 pieces and 8 minifigures©. This is a BRAND NEW set of LEGO® Castle Knights' Kingdom II 8821 Rogue Knight Battleship from 2006. This set is still factory sealed and the box is in very good condition with minor shelf wear. 152 pieces and 3 minifigures©. 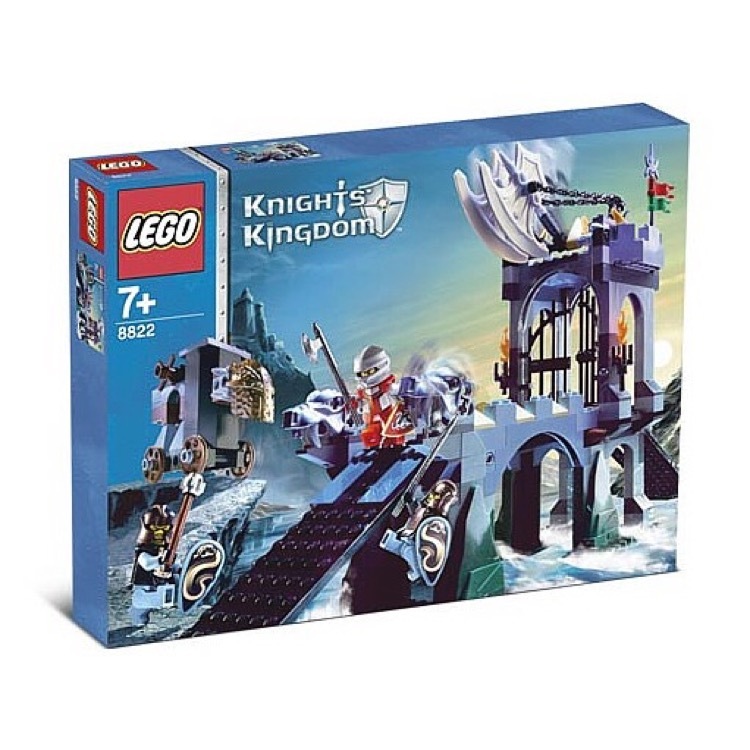 This is a BRAND NEW set of LEGO® Castle Knights' Kingdom II 8822 Gargoyle Bridge from 2006. This set is still factory sealed and the box is in very good condition with minor shelf wear. 250 pieces and 3 minifigures©. 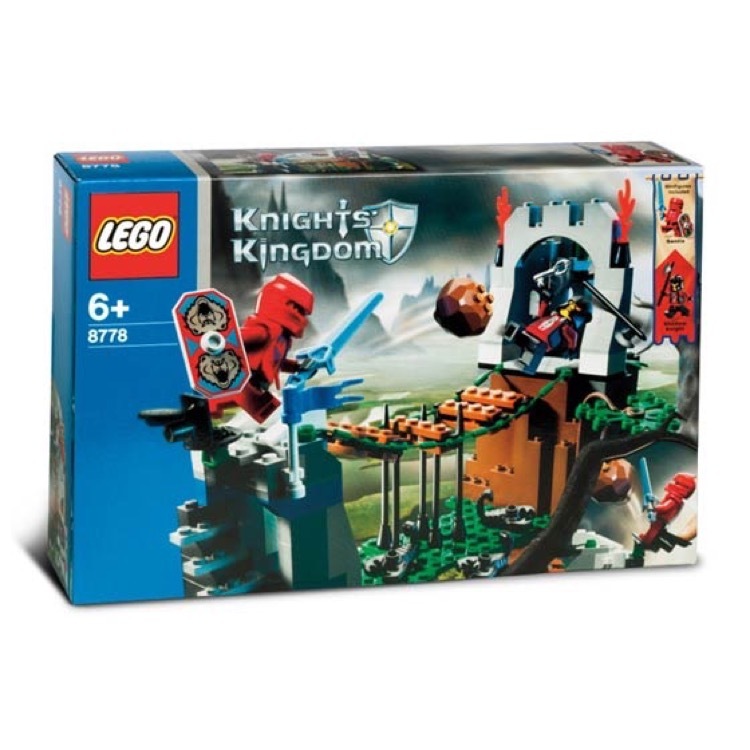 This is a BRAND NEW set of LEGO® Castle Knights' Kingdom II 8875 King's Siege Tower from 2005. This set is still factory sealed and the box is in very good condition with minor shelf wear. 127 pieces and 4 minifigures©. 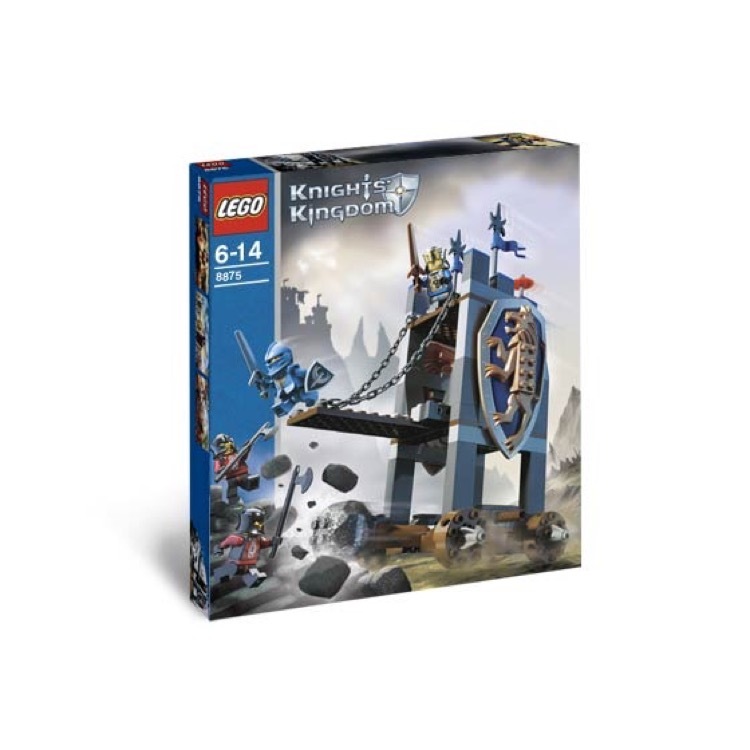 This is a BRAND NEW set of LEGO® Castle Knights' Kingdom II 8822 Gargoyle Bridge from 2006. This set is still factory sealed, however the box is in rough shape with wrinkles, creases and shelf wear. 250 pieces and 3 minifigures©. This is a BRAND NEW set of LEGO® Castle Knights' Kingdom II 8801 Knights' Attack Barge from 2005. This set is still factory sealed, however the box is in rough condition with minor wrinkles, creases and shelf wear. 163 pieces and 2 minifigures©.